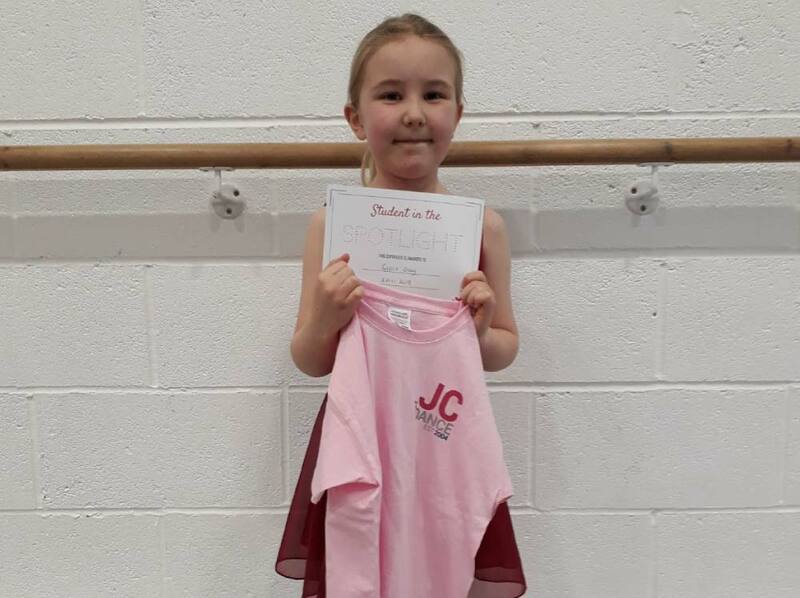 Grace has been dancing at JC Dance since she was 3 and attends Ballet and Modern classes and took her first dance exams last Summer. Grace has been awarded Student in the Spotlight for having such a focused and hard working attitude in her classes, trying really hard each and every lesson. When asked what her favourite thing about dance was Grace replied “Run and Leap!”. Well done!